I'm forever trying to jump on the healthy living bandwagon but my attempts to get on it and stay on it keep failing. Fear not though, I'm a tryer and it will happen one day! Meanwhile, let me tell you about my matcha green tea powder, it has super powers and everything. 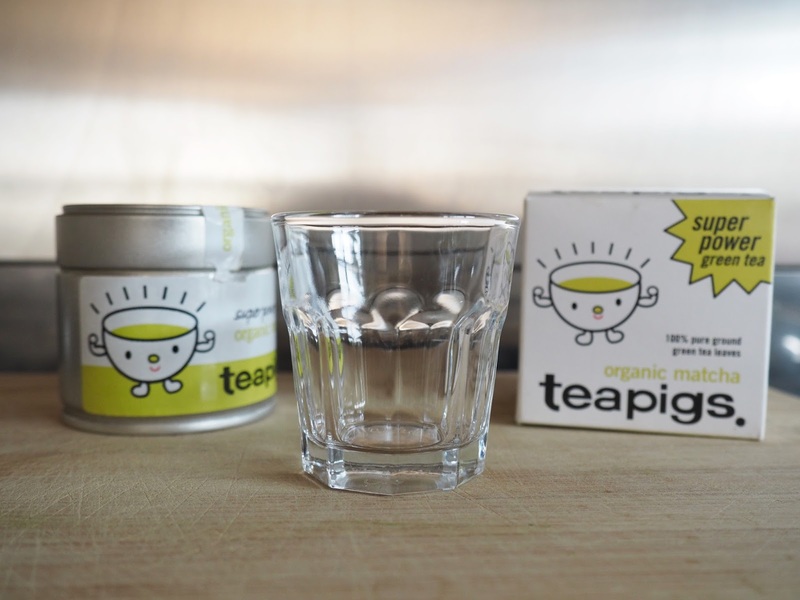 You've probably read bucket loads about this magic powder on numerous blogs, and health and fitness websites no doubt, so I'll not bore you with the details, you can find out all you need to know here on the teapigs website. This is not a sponsored post BTW, just thought I'd be nice to you and let you know how I take mine. One way I do not take it is just like a regular green tea, made with hot water, not that matcha is anything like a regular great tea........eughhh. *shudders at the thought* Sorry matcha people of the world, but I just can't. Tastes gross to me. High five to those of you that can. Heather, I'm thinking of you. I prefer mine with a large dose of Almond milk in the form of a matcha latte. Now that I can tolerate, in fact I'm actually really liking it. That's progress. 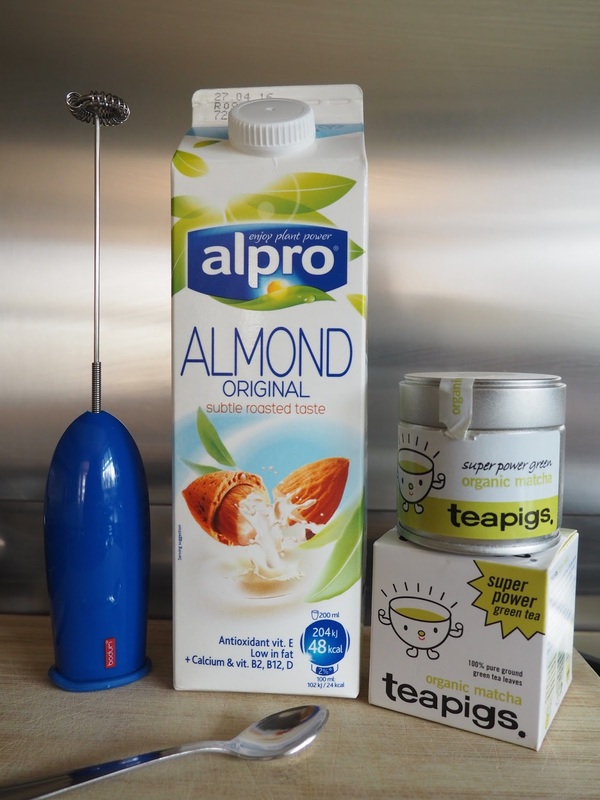 Pour almond milk, or regular milk if you prefer, into your mug to use as a measure. Now at this point you have two choices. Either to pop your milk in a pan to heat up or go down the lazy arse route like I did by putting it onto a jug and heating in the microwave. What? We have to cut corners sometimes don't we? Who wants to hang around washing a saucepan! 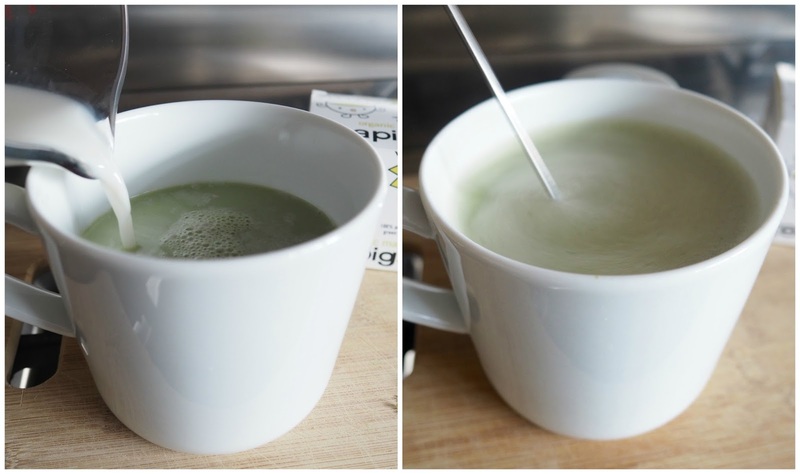 Put half a teaspoon of matcha into your mug and mix with a tiny amount of water, make sure you give it a really good stir. Once the milk has come to a light boil, or the microwave has pinged, you then pour the milk into your mug and whisk it to death with your milk frother! Ta-dah! Easy peezey. Some people add a little squirt of agave syrup or cinnamon but I prefer to leave it as it. Matcha shots you can make with water, milk or juice, whatever takes your fancy really. I have my shot with orange juice as it makes it more palatable for me. I still don't find it the best but one gulp and its gone! The power of these matcha shots more than outweigh the taste and I know it's doing me a lot of good from the inside out. Again drop half a teaspoon of powder into your shot glass and top up with your preferred liquid. Mix like mad with your frother and then throw it down the hatch quick smart. Be careful not to overfill your glass as when you whizz it will spill out. I have a little issue at the moment (see above photo) in that my powder remains bitty, I could whizz away for an hour and it'd still be the same :( That's the bit I don't like, being left with bits of clumped up powder in the bottom of the glass/cup, not nice to swallow. I might have to ask Teapigs why this happens as it's getting on my nerves a bit. Anyone else have this problem? I'm not sure if it's because the tin lives in the cupboard next to the hob and perhaps the heat and steam may affect it, just a thought. (oops.........just read you should keep it in the fridge. Wrist slapped, although I can't see how that would stop it from doing that). Matcha is the super hero amongst green teas, it's super concentrated and packed full of the goodness we need to keep us feeling happy and healthy and it's available in so many places now so why not give it a try. It you read up about all of its health benefits you'll definitely want to! I'd love to know if you use matcha and how you drink it or how you add it to your food. Please come and let me know. I want to try something like this! I'm not a tea drinker so have been steering clear of these tea detoxes etc but I'm thinking it may be something I need to try! !